This is my last post and I would like to finish my blogging by sharing my experience at the ACM Europe and WomENcourage conference 2017 which took place in Barcelona, Spain. The conference took place from 6th to 8th September 2017 which was organized by the Association for Computing Machinery (ACM). The ACM-W Europe womENcourage Celebration of Women in Computing is a scientific event, and also an event aimed at networking and exploring career opportunities for women in computer science and related disciplines. This conference brings together undergraduate, Masters, and Ph.D. students, as well as researchers and professionals, to present and share their achievements and experience. This year the womENcourage conference was combined with the ACM Europe conference. The two main themes of the conference were Cybersecurity and High-Performance Computing. The ACM Europe conference was hosted by the Barcelona Supercomputing Center (BSC). The conference kicked off with a Hackathon on the first day from 8:30 on Wednesday morning. It was amazing to see that participants came from various different countries, I started networking with them and soon assembled a team and started discussing our project ideas. We were given hardware which includes Intel’s Arduino board and IoT dev tool. My other two team members were from Croatia and Hungary, we as a team collaborated very nicely and all became fast friends. Our project “SafeHack” was about designing a device useful for victims affected by an attack or an accident. We all were very pleased, that our project won the Frist prize in the competition. The next two days were jam-packed and the program included technical presentations, panel discussions, technical paper sessions, hands-on workshops and keynote talks. 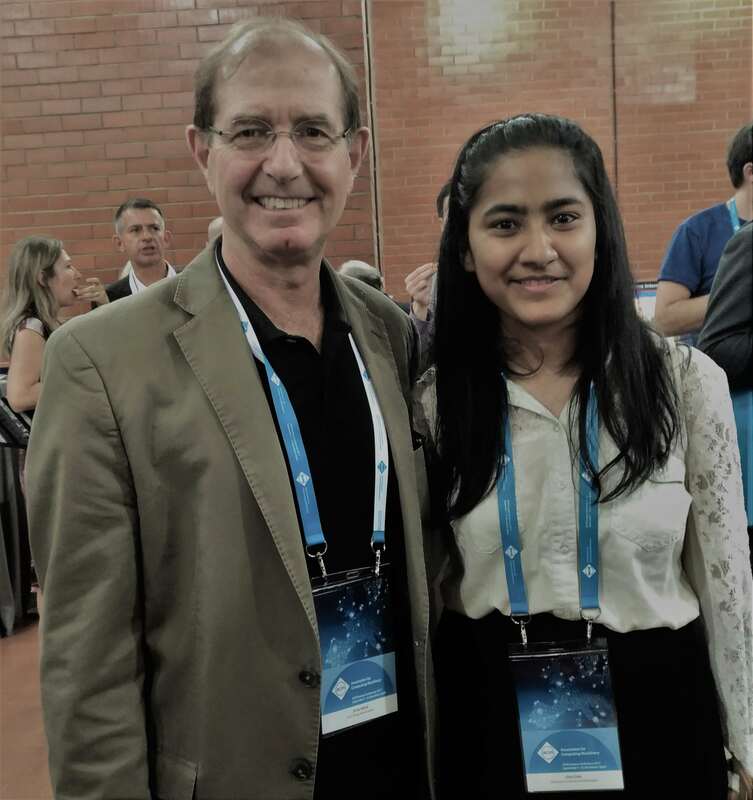 The highlight of the conference was attending the Turing lecture by Professor Silvio Micali, who is a 2012 Turing Laureate. Turing award is considered as the Nobel Prize of Computer Science and the opportunity to meet a Turing Laureate was absolutely surreal. As time flies, the three days were gone, it was the time to head back to the UK. I was very exhausted but delighted with this experience and all the contact I made throughout this period. I had a wonderful experience and was delighted to make friends from different parts of the world. I highly recommend other female students to attend this conference as it is a fantastic opportunity for female technologists to network with so many like-minded people. As this is my last post, I won’t be blogging anymore. If anyone needs to contact me please do so on Twitter or LinkedIn.